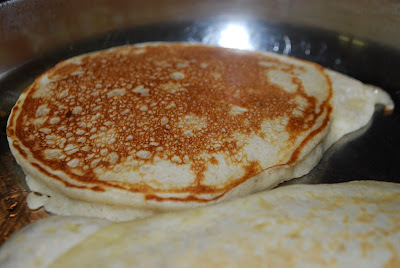 A lot of times pancake batter can be runny. This is not good in my book. 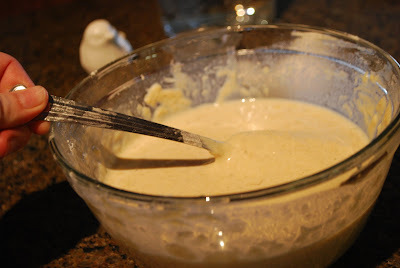 I like thick, puffy pancake batter. This makes it easy to flip and easier to shape. 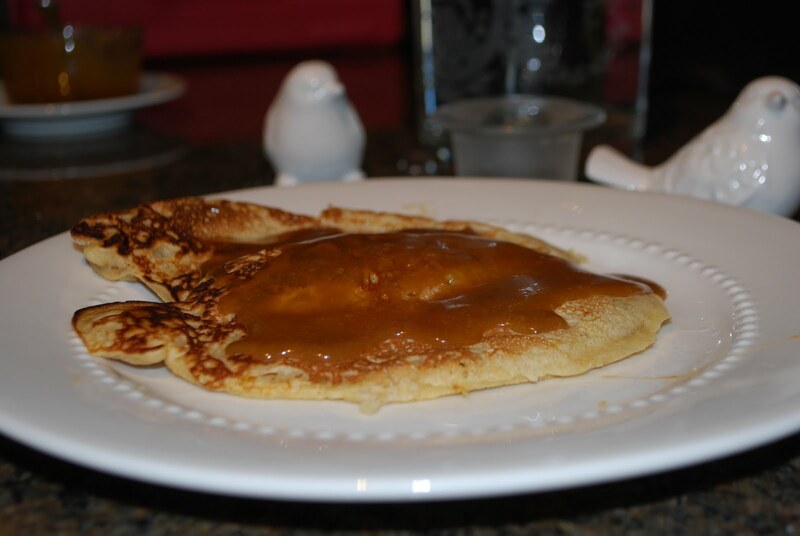 The best pancake recipe I've come across so far is this pumpkin spice one. I used this as a guide and came up with my "Pretend like its the Weekend Banana Pancakes." The bf's verdict? "These are really good. Perfect. Thanks Babe!" Mission complete. The thing you need to know about this recipe is that your banana should be VERY ripe- so ripe that you only want to pick it up with two fingers and toss it in the trash. 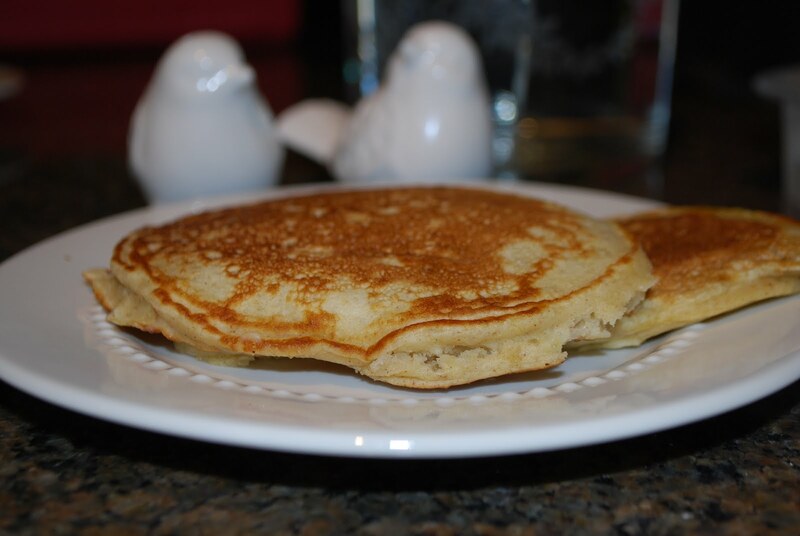 Those bananas make perfect pancakes and banana muffins. Heat skillet/griddle over medium heat and spray with non-stick cooking spray. Pour batter by 1/3 cup-fulls and cook until top and sides bubble. Flip over and cook a few more minutes until both sides are golden brown. Serve with hot maple syrup or PB syrup (my fav). To make PB syrup, heat 1 part smooth PB and 2 parts maple syrup in the micro until melted. Mix well and enjoy! P.S. You've probably noticed that I've been showing off my cute little ceramic bird couple lately. Aren't they the cutest salt and pepper shakers you've ever seen? I spotted them at Pier One a while back and my mom picked them up for me for about $2- what a sweet deal!